New York, NY (October 19, 2017) – The U.S. Food and Drug Administration (FDA) announced it has approved the use of axicabtagene ciloleucel (YescartaTM, Kite, a Gilead Company) to treat patients with large B-cell lymphoma who have relapsed or have not responded to at least two previous lines of therapy. The second gene therapy approved by the FDA, this approval of the chimeric antigen receptor (CAR) T cell therapy, represents the first indication of gene therapy for lymphoma patients. individually for each patient. The FDA has approved this CAR-T cell therapy for use in diffuse large B-cell lymphoma (DLBCL) not otherwise specified, primary mediastinal large B-cell lymphoma (PMBCL), high-grade B-cell lymphoma, and DLBCL arising from follicular lymphoma (transformed follicular lymphoma, or TFL) patients with relapsed / refractory disease after two previous treatments. The Lymphoma Research Foundation offers educational materials and resources on the subject of immunotherapy in the treatment of lymphoma, such as videos, webcasts, and fact sheets. 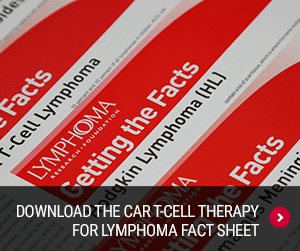 These materials include information on CAR-T cell therapy and are available at no cost to lymphoma patients and their loved ones. 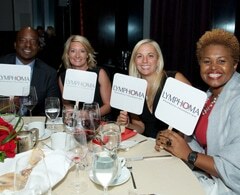 In addition to these resources, the Lymphoma Research Foundation will host its annual North American Educational Forum on Lymphoma from October 20-22, 2017 at the New York Marriott at the Brooklyn Bridge, in which Dr. Bruce Cheson, MD, FACP, FAAAS, Georgetown University Hospital Lombardi Comprehensive Cancer Center, Past Chair of LRF’s Scientific Advisory Board and Dr. Stephen J. Schuster, MD, Hospital of the University of Pennsylvania will host a dedicated educational lunch program on Immune Oncology. During this session, patients can learn more about immunotherapy and this new approval of CAR-T cell therapy and ask questions of leading experts in the field. To register for the 2017 North American Educational Forum on Lymphoma, visit www.lymphoma.org/EdForum. For more on the FDA approval of CAR-T cell therapy, click here. 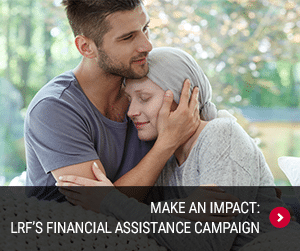 For additional information on diffuse large B-cell lymphoma, visit www.focusondlbcl.org, and sign up to learn more at www.lymphoma.org for upcoming updates on CAR-T-specific resources.